Bobby Vee Impersonator Tribute Show! National variety celebrity and musical tribute performer Tim Beasley of Vegas Tributes celebrates the "super 60's in recreating those hot tgeen idols that were topping the top 40 charts with classic songs of young love.Bobby Vee was an early 1960's pop music sensation, coming on the scene in the wake of the tragic loss of rock' n roll's music stars Buddy Holly, JP.Big Bopper Richardson and Ritchie Valens. Bobby Vee's selection of top 40 hits included many that became his and his alone, a series of Bobby Vee "signature hits" that will always be associated as his songs. 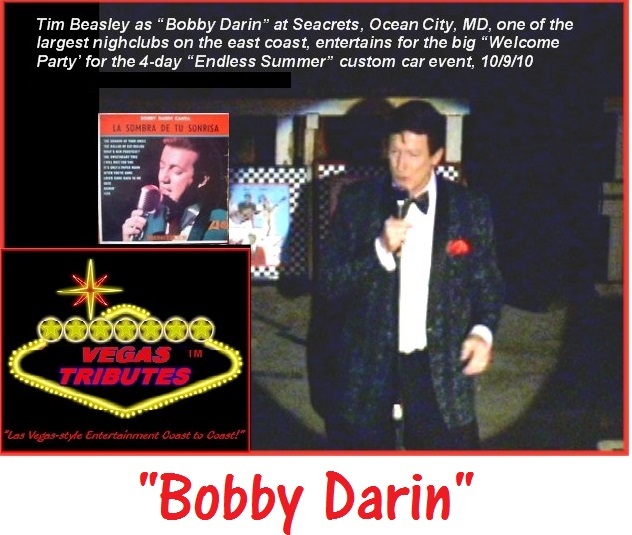 See and Hear Tim Beasley performing as "Bobby Vee" for the huge custom car events known as "Cruisin' Ocean City" and "Endless Summer Cruisin' Ocean City" in Ocean City, MD. 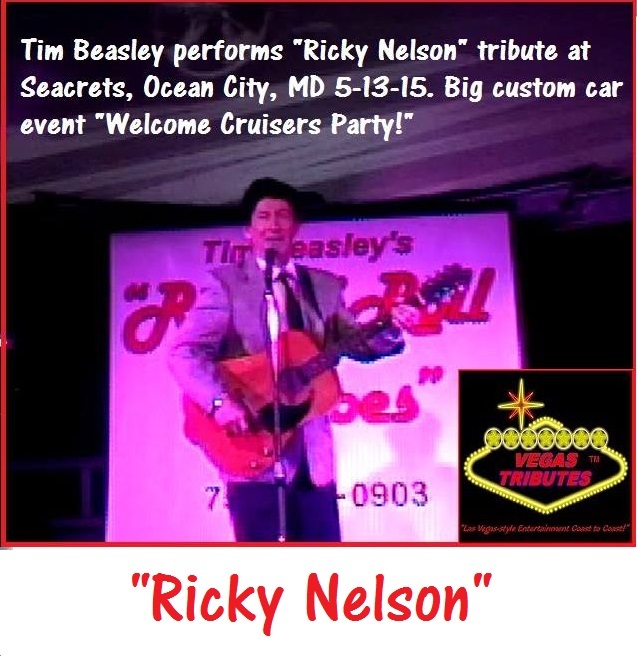 The video was taken before a live audience there for Tim's "Welcome Cruisers Party" at the world famous mega-nightclub, Seacrets, Ocean City, MD. Over 100,000 attend the 4 day event. 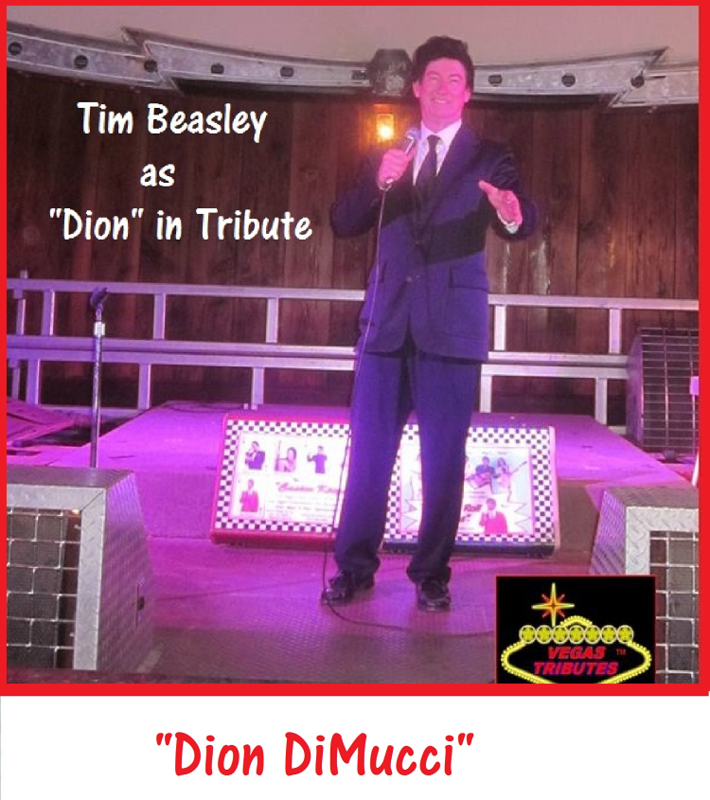 You can have Vegas Tributes performances of Bobby's buddies "Paul Anka," "Dion DiMucci,""Bobby Darin" and "Ricky Nelson" join "him" packaged and promoted as "The Prom Kings" TM and a superb show for any "Sock Hop Happening!" Please call, and you can text, too!